Sponsored post by Mirum Shopper. All opinions are my own. 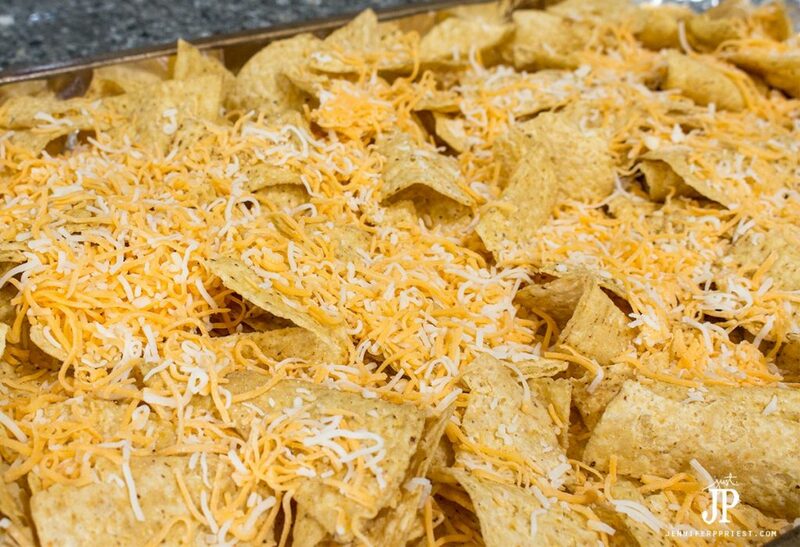 Nachos don't sound hard to make but if you have ever made soggy nachos, then you know they are not as easy as they look! These chicken mole nachos are pretty much the best nachos I have ever had. I'm ruined as far as ordering nachos at a restaurant after this!! 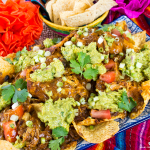 For fall, this chicken mole nachos recipe is one the kids will love, especially if you have a group coming over after sports practice or a school event. The best part is, this recipe is made with the leftovers from our Slow Cooker Chicken Mole recipe, which you can make for dinner one to two nights before having the nachos. Two dinners, one slow cooker pot. Sounds like a winner to me! 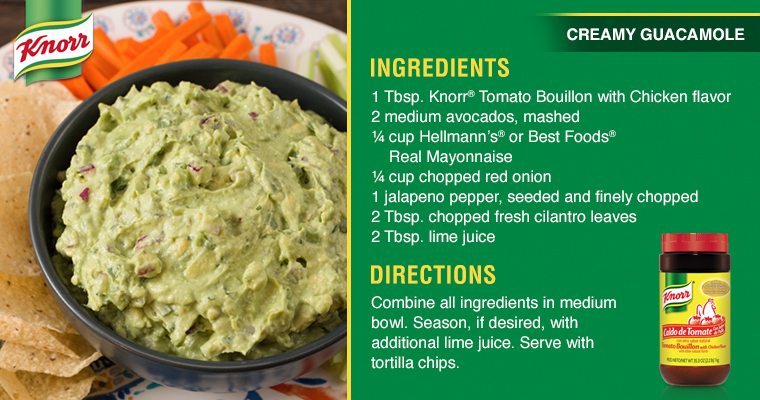 These nachos feature Knorr's yummy and easy Creamy Guacamole recipe made with Knorr® Tomato Bouillon with Chicken flavor and Best Foods® Mayonnaise. 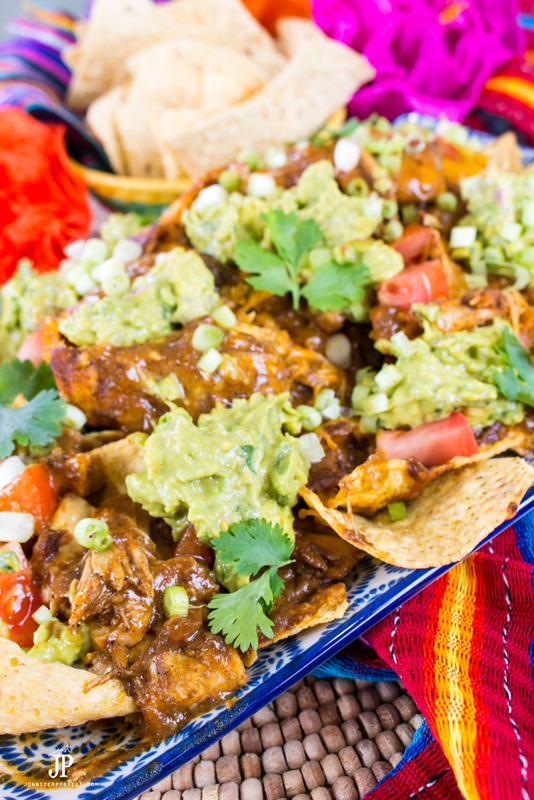 Stop by your local Walmart to get everything you need to make these amazing chicken mole nachos for dinner tonight, including Knorr® Tomato Bouillon with Chicken flavor and Best Foods® Mayonnaise. 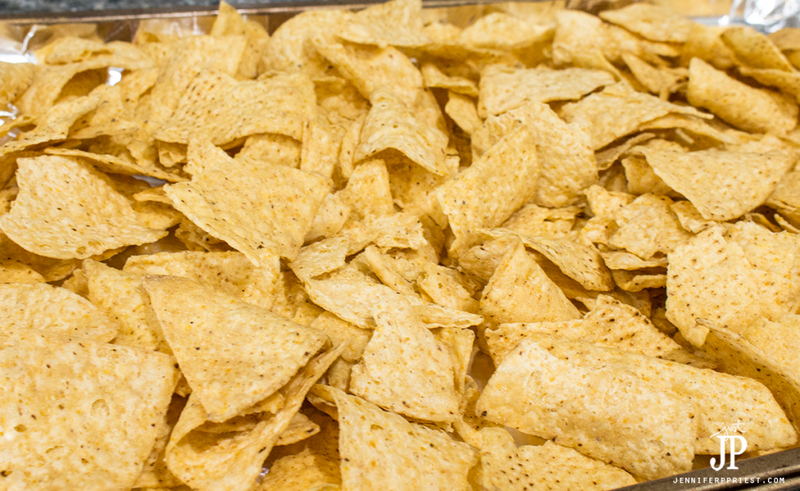 Spread entire bag of tortilla chips over the cookie sheet in a singe layer as much as possible. 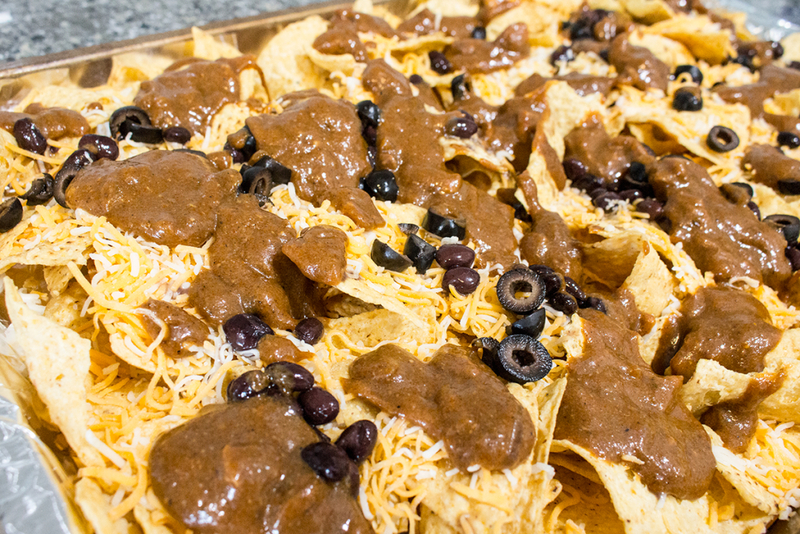 Sprinkle chips with shredded cheese, black beans, olives, a drizzle of mole sauce, and the shredded chicken mole. Bake in the oven for 5 minutes or until the cheese starts melting. Remove from the oven. 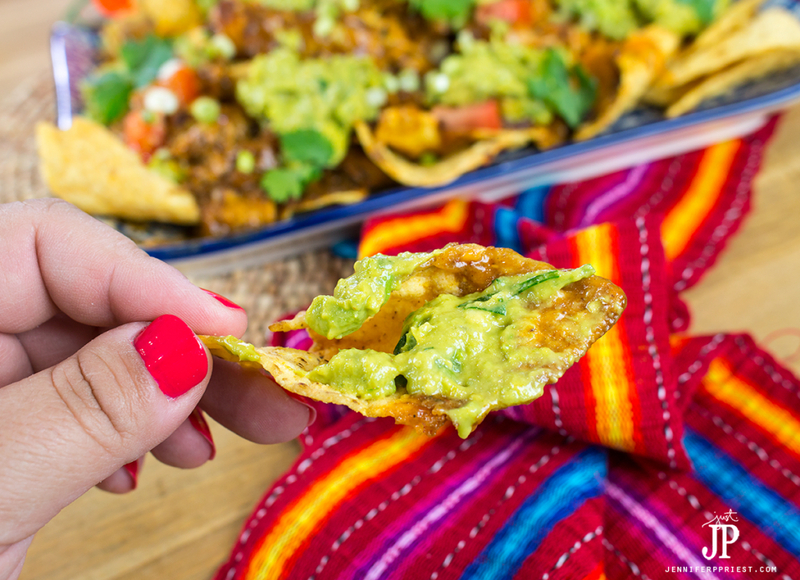 Use a wide spatula to transfer the nachos from the cookie sheet to a serving plate. Drizzle on more mole sauce if the chips look too dry. Add tomatoes, scallions, and cilantro. Add guacamole in dollops over the plate of nachos. Serve and enjoy! 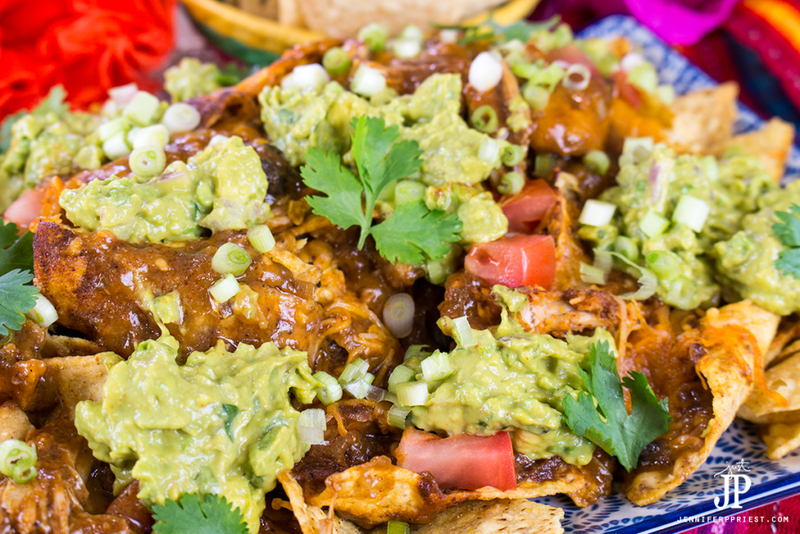 Click the recipe block below to get a printable version of this chicken mole nachos recipe. 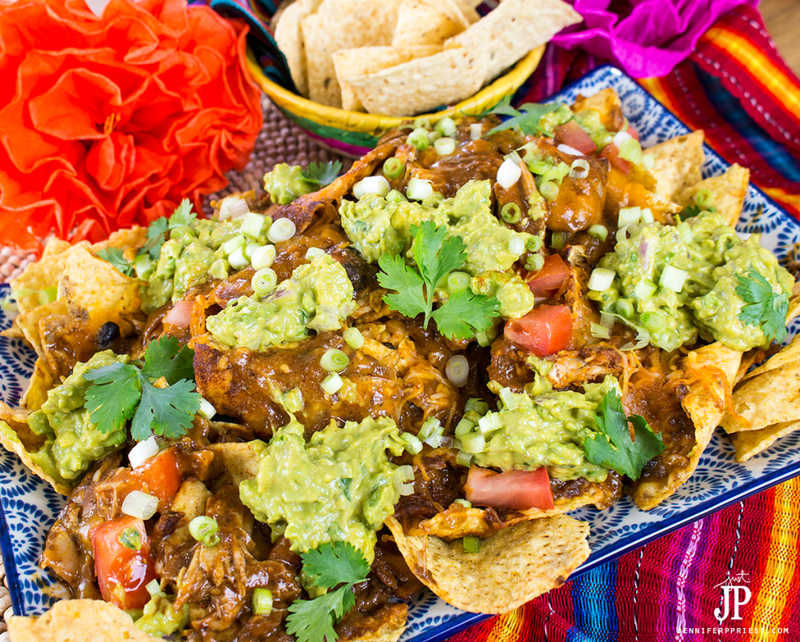 A delicious party appetizer or family style main dish, these mole nachos are absolutely delicious! The kids absolutely love this as a “fun dinner” but you can serve it at parties as an appetizer. I mean, what kid is gonna complain about nachos for dinner? 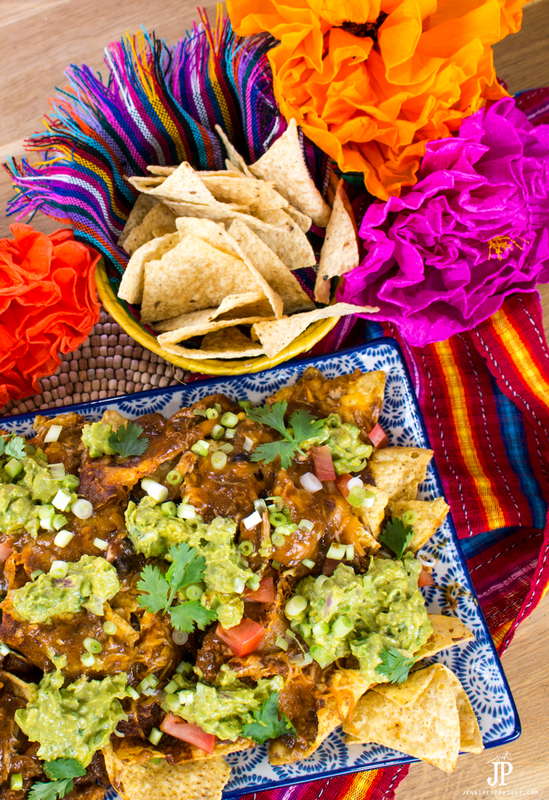 There are no leftovers whenever we have these mole nachos. I cannot even explain in words how amazing these taste except that I just had to wipe drool off of my keyboard. 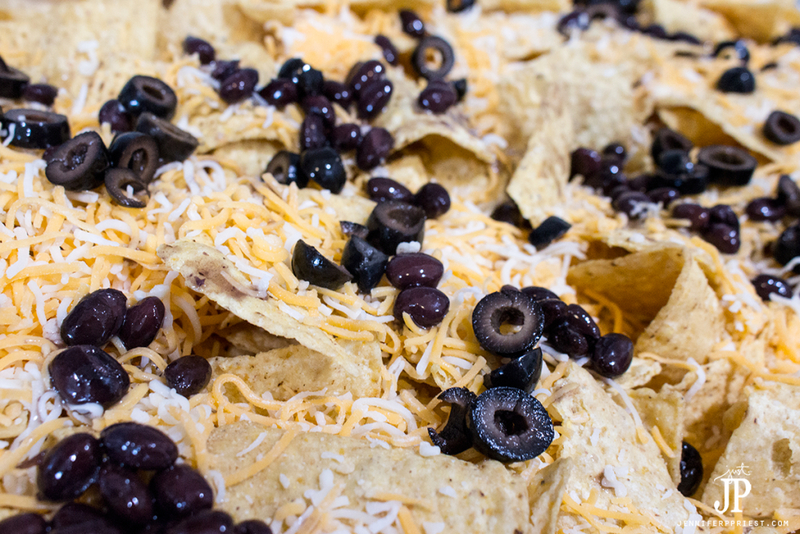 What's your favorite way to have nachos? Let me know in the comments. SAVE this recipe – PIN IT! Augh! This looks so amazing! <3 I love guacamole!! Thank you so much 🙂 It was sooooo good!